17615 Lake Estates Drive is located in St Andrews Country Club in Boca Raton. The 7 bedroom home sits on almost a half an acre with wonderful golf and water views. The estate offers 7,555 sq ft of living space and an open floor plan to make the home feel airy and bright. Outside you have your own personal paradise with features like the pool, covered patio, travertine marble floors, and the summer kitchen. The home has a number for new features too, like the new AC units, new driveway pavers, and the new garage floor. This home is really a sight to see. 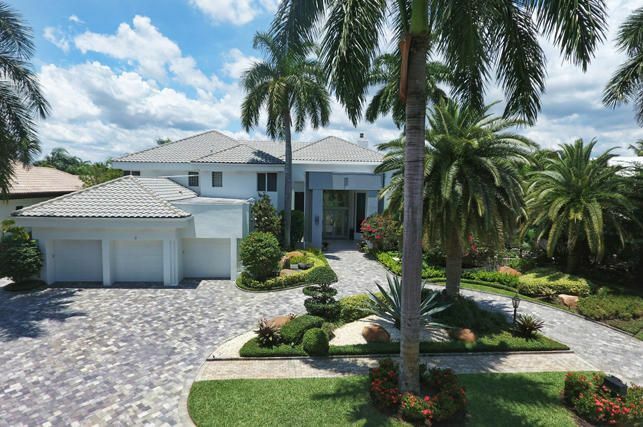 To get more information on 17615 Lake Estates Drive here in Boca Raton, please contact one of our dedicated Distinct Estates agents who will be glad to show you homes in St Andrews Country Club or in other parts of South Florida.